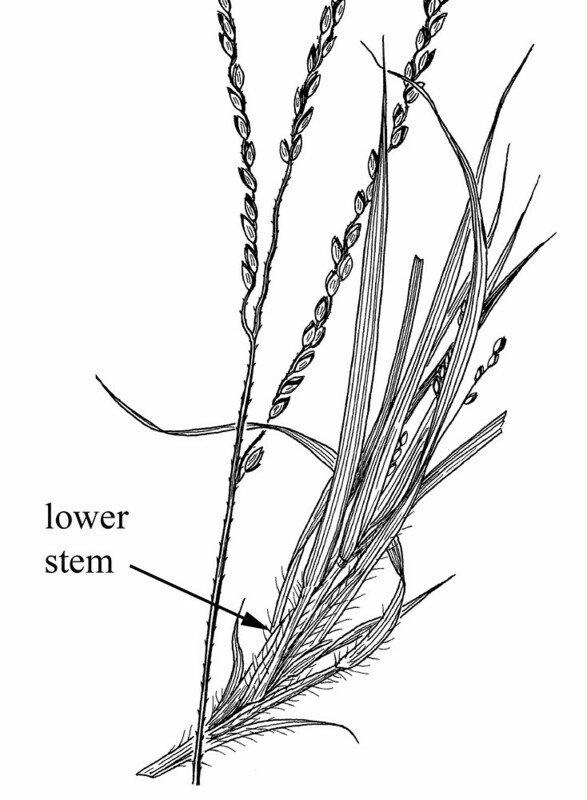 Slender crabgrass is native to southern and eastern North America. In New England there are two varieties. 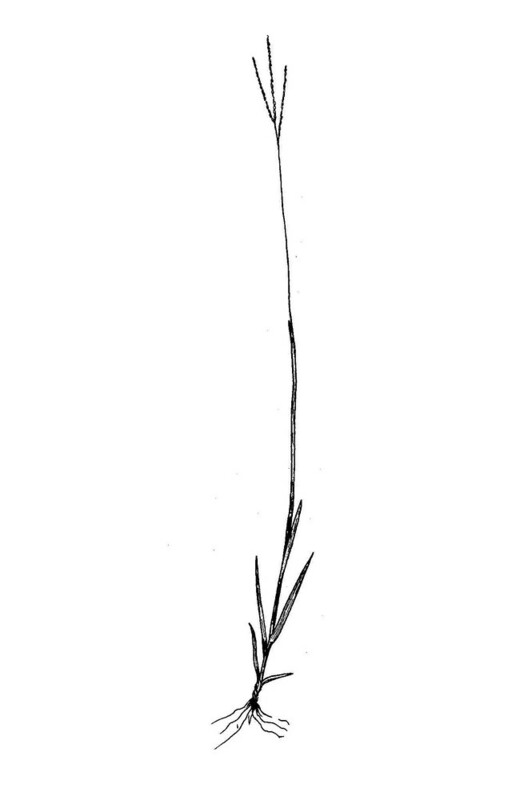 One (Digitaria filiformis var. 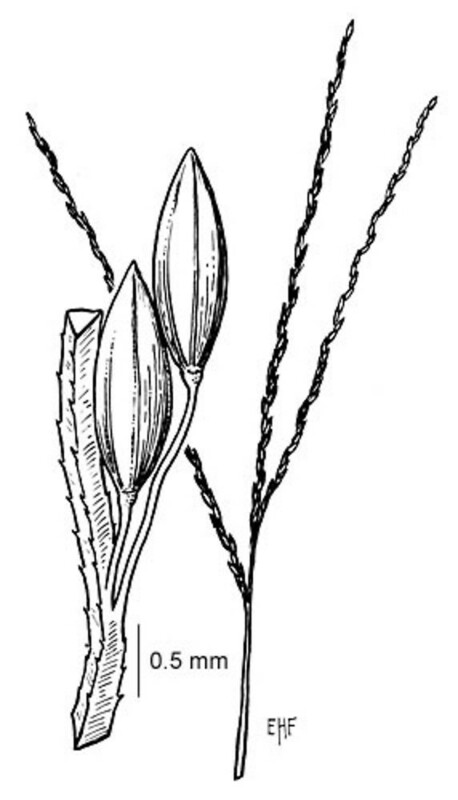 laeviglumis) is rare and endemic to New Hampshire, where it is found in peaty depressions on granite ledges. The other (D. filiformis var. 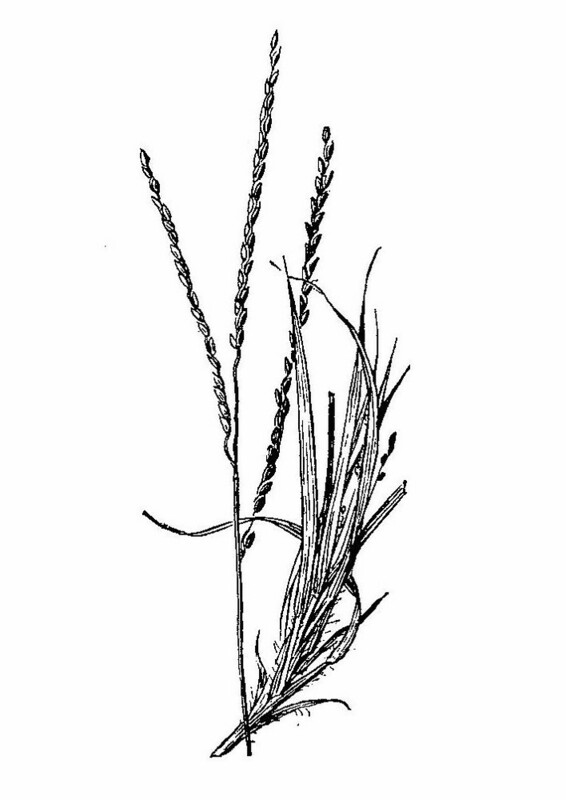 filiformis) is a more widespread inhabitant of dry, open, sandy areas. 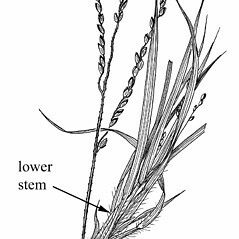 axis of panicle branches wing-margined and reproductive stems usually decumbent and rooting from the lower nodes (vs. D. filiformis, with the axis of panicle branches triquetrous, but not wing-margined, and reproductive stems usually upright, only rarely rooting at the lower nodes). 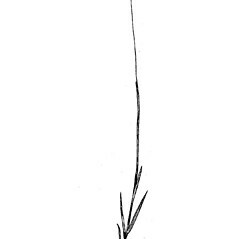 slender crabgrass. 2a. 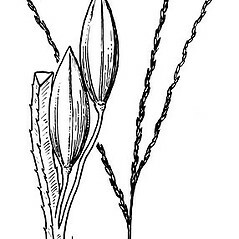 Digitaria laeviglumis Fern. ; 2b. 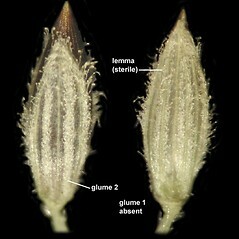 Panicum filiforme L. • CT, MA, NH, RI. 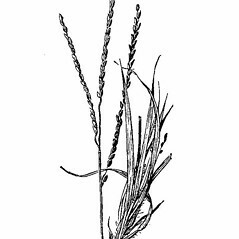 Dry, open, often sandy, areas, such as fields, roadsides, and disturbed lots, also in peaty depression on granitic ledges. 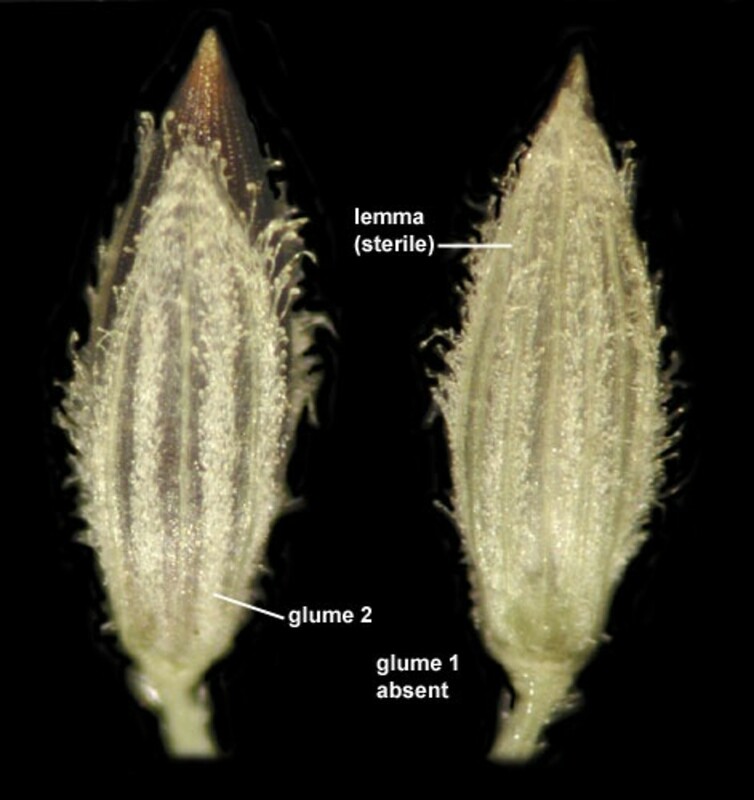 Digitaria filiformis resembles D. ischaemum and D. violescens in several character states, including the highly reduced lower glume, relative length of the upper glume, and color of the upper lemma. 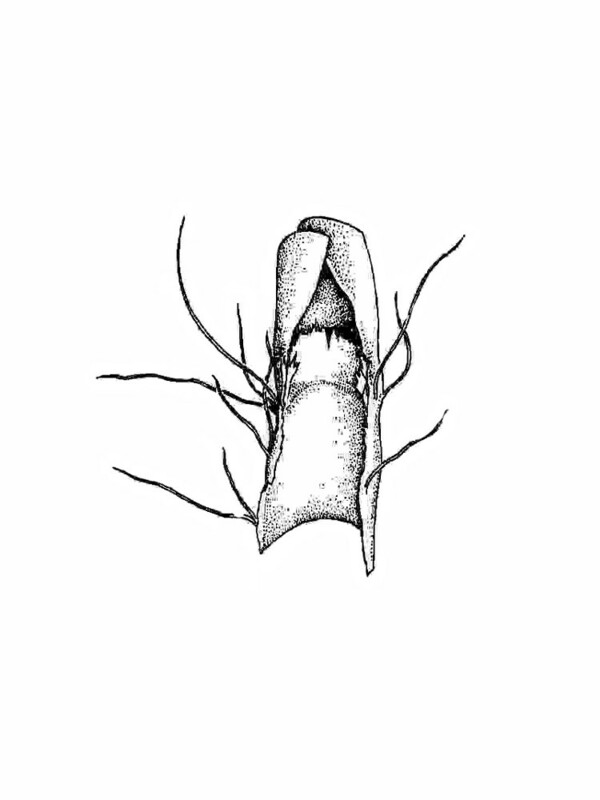 In addition to characters stated in the key, D. filiformis differs from the two mentioned species in its pustulose-based hairs on the lower sheaths (vs. glabrous to sparsely pubescent). Variety laeviglumis is known from (and endemic to) NH. It is of regional conservation concern and occurs in peaty depressions on granitic ledges in Hillborough County. 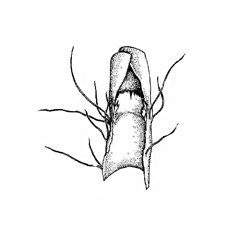 Variety filiformis is known from CT, MA, NH, RI.